Antennas There are 10 products. 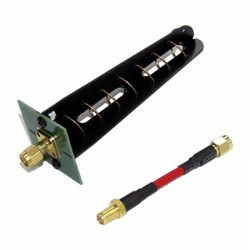 Aomway released their new 5.8GHz, 7 Turn 11dbi tuned reflector base helical antennas. 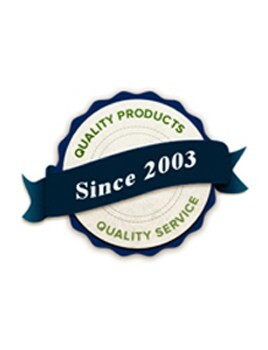 The Aomway 7 is supported by a precision cut glass fiber frame and PCB tuned reflector. The antenna includes a flexible coaxial adapter letting you achieve virtually any installation angle of your setup. 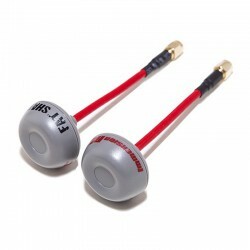 This is a pack of two ImmersionRC SpiroNET Omni 5.8GHz "Left Hand" Circular Polarized Antennas. The SpiroNET 5.8GHz circular polarized antenna from ImmersionRC was developed to offer better multi-path rejection than conventional whip antennas and are a much better option when compared to run of the mill 'basement production' offerings. 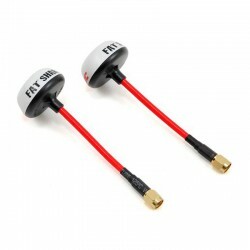 This is a pack of two ImmersionRC SpiroNET Omni 5.8GHz "Right Hand" Circular Polarized Antennas. 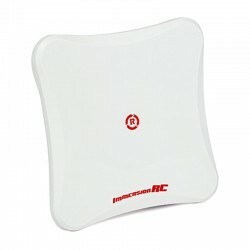 The SpiroNET 5.8GHz circular polarized antenna from ImmersionRC was developed to offer better multi-path rejection than conventional whip antennas and are a much better option when compared to run of the mill 'basement production' offerings. 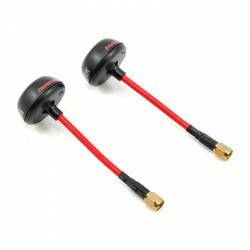 ImmersionRC have introduced their new skew planar wheel Circularly Polarized SpiroNet antennas. The new design is optimized in terms of radiation pattern and VSWR, the Skew planar wheel design gives you better range and performance in any orientation than the previous clover leaf/skew planner combination. Put a zoom lens on your receiver! 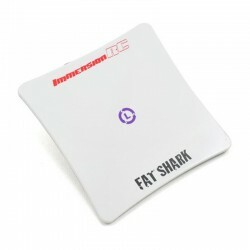 This is an ImmersionRC SpiroNET 5.8GHz 13dBi "Left Hand" Circular Polarized Patch Antenna. 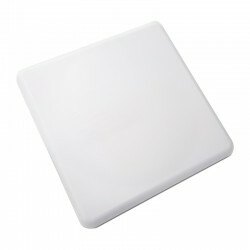 Custom designed for the FPV market, the SpiroNET 13dBi patch antenna was developed to offer a high gain alternative to the popular SpiroNET omni directional antennas. 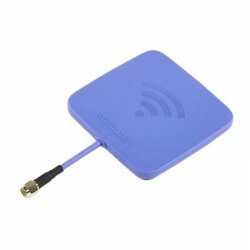 MyFlyDream Auto Antenna Tracker 12CH advanced unit pack contains everything you need to set up your basic MyFlyDream AAT Auto Antenna Tracking system. 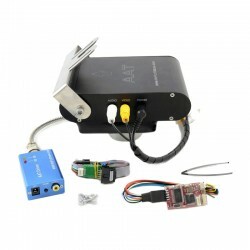 The only thing you will need is an OSD with GPS module or a single GPS module. If you don´t want to use an OSD, the MyFlyDream Tracking system will work with almost every GPS modules that use NMEA standard.